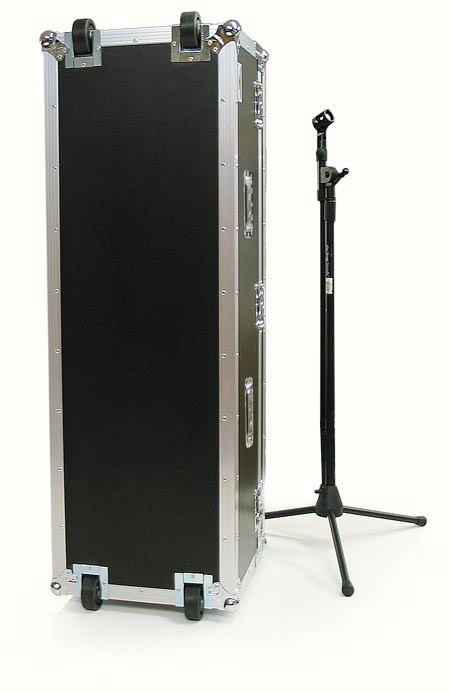 This is the EWI Tourcase tm model MSC-1648 microphone stand or hardware case. 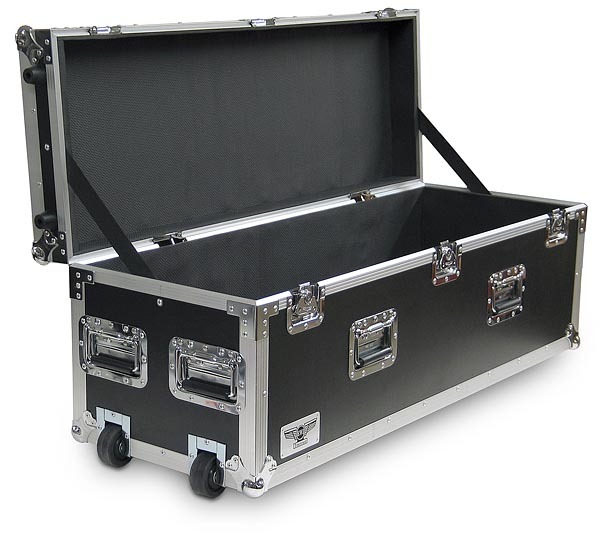 This case functions as a great trunk for mic stands, hardware, or cables. The side panels are constructed with 3/8 inch hardwood plywood and covered with a black ABS laminate surface. The extrusion is all aluminum and assembled with aluminum rivets. 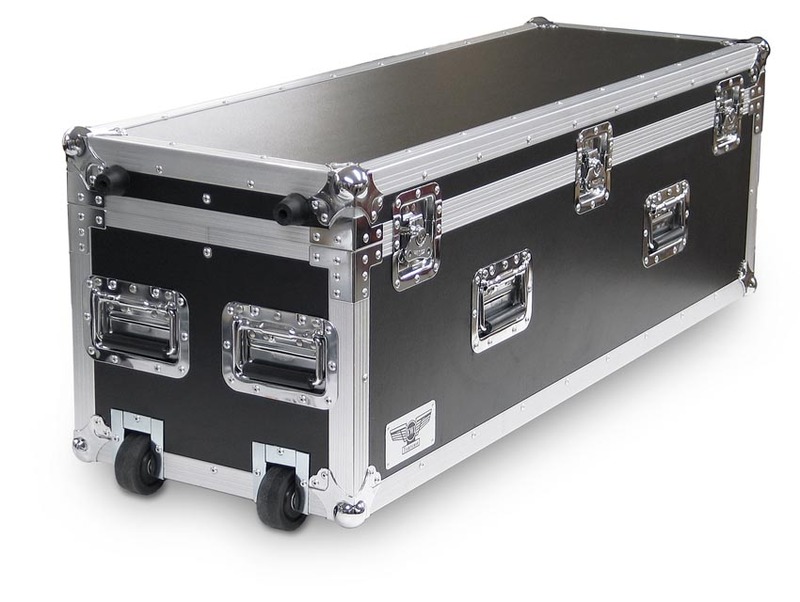 The rivets on the 8 recessed handles are backed with washers to ensure strength and durability and the inside of the case is fully lined with 3/8" closed cell foam rubber. The top is held closed with 3 recessed butterfly latches and is hinged on the back with two lid stops and two nylon straps for stops inside the case. The two rubber feet and two wheels on each end allow the case to stand vertically. The inside is fully foam padded with thicker foam padding on the ends to allow a loaded case to be transported standing on end. 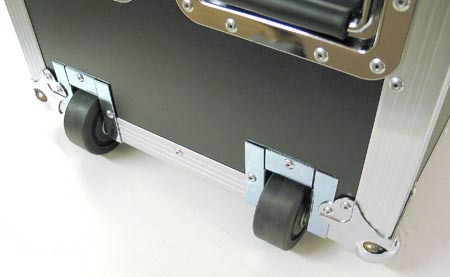 The two integrated 3" wheels on each end allow the case to be rolled laying flat or lifted by the handles on either end and rolled on two wheels. 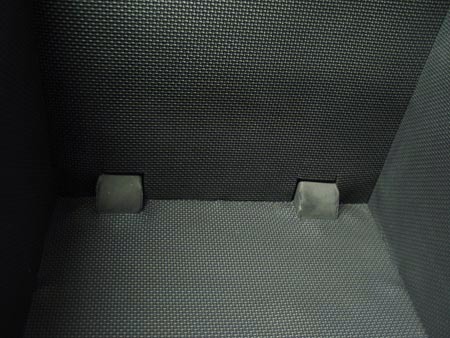 Optional padded dividers are available to customize the interior. 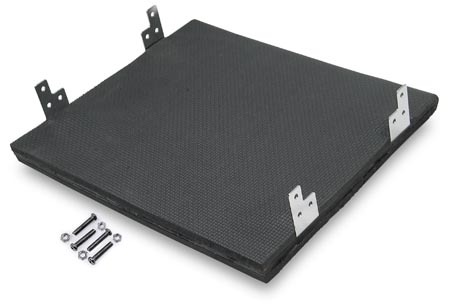 This case is manufactured to exacting tolerances with excellent fit and finish. 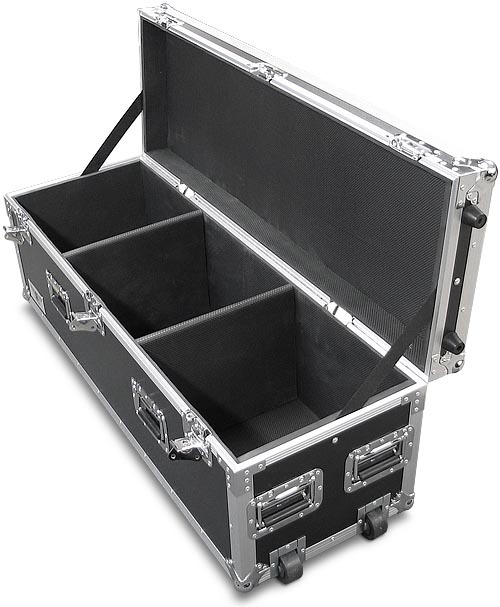 Road case for mic stands, hardware, cables, etc. Depth of trunk bottom interior: 12"
Height of lid interior: approx. 2 3/4"
Overall interior height: approx. 14 3/4"
Dimensional shipping weight: 118 lbs.